Thank you so much to everyone who entered my latest giveaway! I hope that my giveaway and pink manicures during October may have inspired you to donate and support Breast Cancer Awareness. Thank you for all the wonderful comments and suggestions for my blog. I've already tried to incorporate a few suggestions already (featuring more Aussie brands, haul posts to name a few) but I will endeavour to use some of the other suggestions. Thank you also for sharing some of your stories with me - it is heart breaking that cancer affects so many people. On to the winner! There were 401 valid entries which took me FOREVER to count lol. 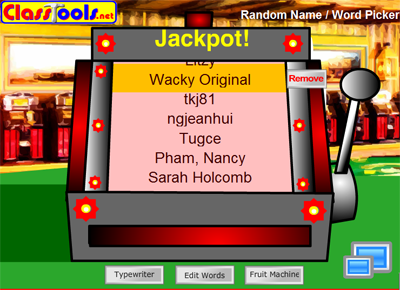 I put the names in to the random fruit picker to choose a winner. Congratulations Original Wacky! I've just sent you an email requesting your details. Please respond within 48hours! If I don't receive a response in that time period I will draw another winner. Congrats to the winner : D woo! Wauw...very lucky you are Original Wacky! you're blog is so lovely i gave you an award!!! Oooh ooh oooh! I can hardly wait! ALL NEW BRANDS TO TRY! I'd better get myself organized and do my own giveaway soon. Maybe in a week or two.